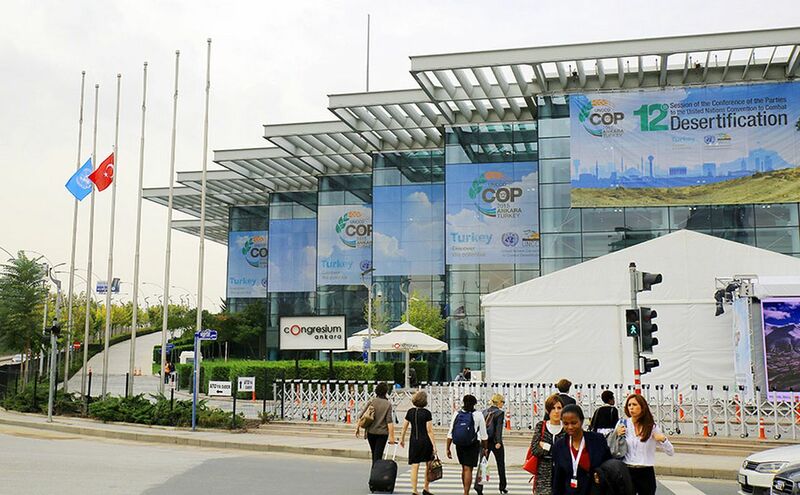 I attended the 12th Conference of Parties to the UN Convention to Combat Desertification in Ankara. The International Network for Bamboo and Rattan (INBAR) is a new Observer to UNCCD, and I am was invited to participate in the high level events. Today, I was part of the dialogue with the private sector, and I was pleased to give our thoughts about private sector support to Land Degradation Neutrality. Bamboo is arguably the world’s most important non-timber forest product, representing a growing economic sector worth some 60 billion USD every year. In many countries, potential gains are growing at a rapid pace. For example, in China, production was valued at 19.5 billion USD in 2012 – representing an increase of nearly 50 percent from 2010. And in India, where some 8.6 million people depend for their livelihoods on bamboo and the industries it supplies, the plant was projected to create value equal to 4.4 billion USD this year – around 130 times the 34 million USD recorded in 2003. This rapid growth is attributable to the plant’s versatility and the multiple uses it lends itself to. 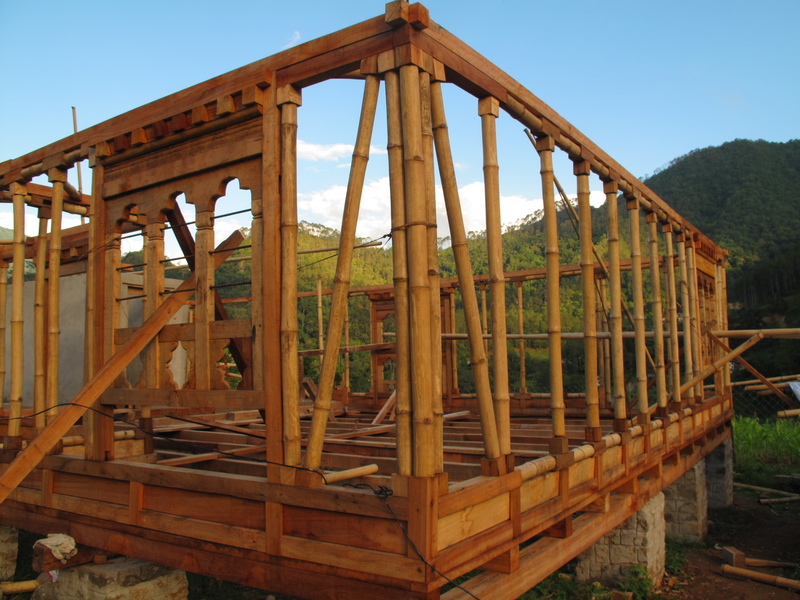 Bamboo products include furniture, flooring and construction materials, pulp, paper and fabrics. Engineered materials and innovative fabrication techniques have also enabled the emergence of prefabricated bamboo houses made with laminated bamboo boards, veneers and panels. In the years and decades ahead, bamboo’s economic role is likely to expand at an accelerating pace – as other forest resources become strained under climate change, as the imperative to mitigate climate change enforces less dependence on fossil fuels, as water stress forces us to look for crops that do not require irrigation and as research discovers new applications for this valuable plant. The expansion of bamboo commodity production provides an opportunity to harness the plant’s many environmental benefits. 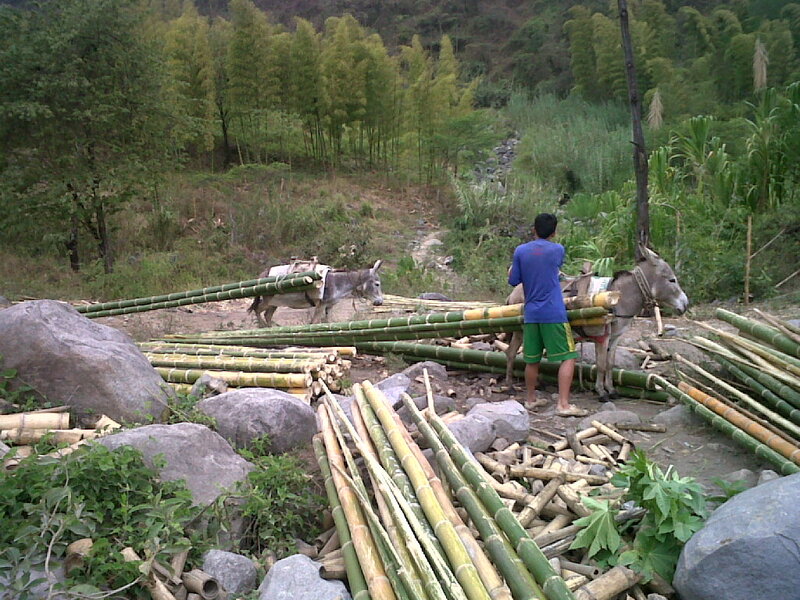 Bamboo is an effective tool to improve soil health and control erosion and slope stability: it has an extensive root system that helps bind soil, and an evergreen canopy that drops leaves year round, providing a perennial source of nutrients. It also thrives on problem soils and steep slopes, playing a potentially important role in efforts to reverse land degradation, and as an effective tool to help achieve Land Degradation Neutrality and support SDG15. Increasing demand will also deliver economic benefits to rural communities: the rise of industrial bamboo production creates new value chains that rural communities and SMEs can supply and opportunities for them to benefit economically from growing export markets. Bamboo can be harvested on an annual basis, as all bamboos are grass species. This makes it a particularly sustainable opportunity for small and medium business development. The International Network for Bamboo and Rattan represents currently 41 Member States, containing more than half the world’s population. We believe that there is great potential to link the potential use of bamboo for land restoration with the opportunity to develop profitable value chains for bamboo production.